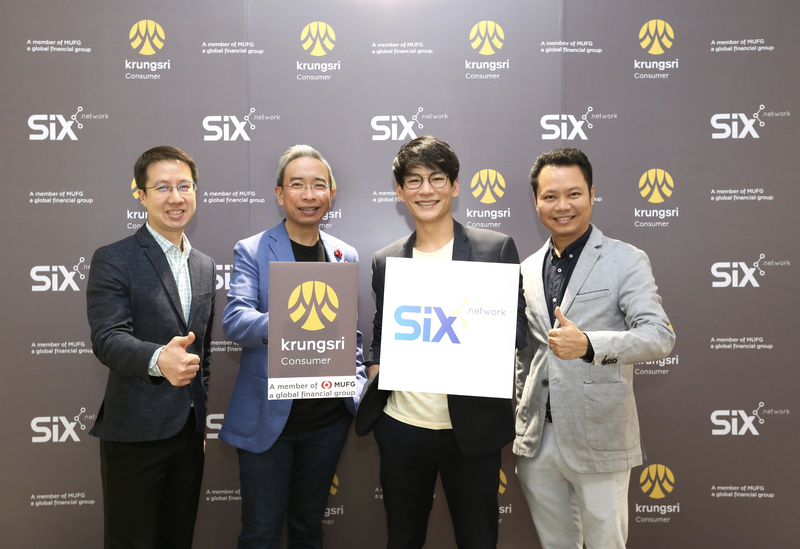 Bangkok, December 19, 2018 — Krungsri Consumer, a leading provider of credit card, personal loan and sales financing businesses, team up with Six Network — a Startup in the Blockchain — Cryptocurrency business, and a provider of Decentralised Service platform for creative workforce, as they announce a partnership to facilitate an access to financial products and services for freelance creative workers and online content providers who use Six Network’s platform in Thailand. Under this partnership, the creative workforce will benefit from information-based lending service from Krungsri Consumer, together with a plan to also offer other financial products in the future. The collaboration is expected to help Krungsri Consumer expand its customer base to cover the new generation of freelance professionals, and help further support the so-called Creative Economy in Thailand. 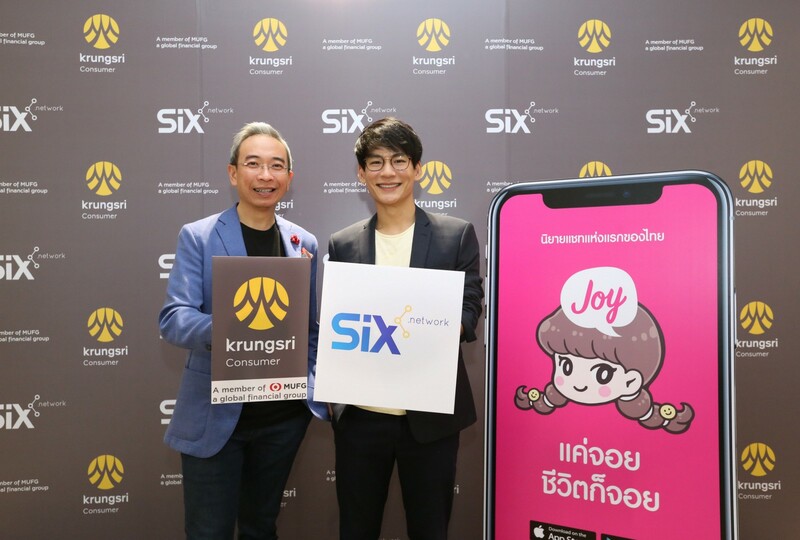 Mr. Thakorn Piyapan, Chairman of Krungsri Consumer, and Head of Digital Banking and Innovation, Bank of Ayudhya PCL, said “Krungsri Consumer is pleased to extend our partnership network for information-based lending service to also include Six Network — a leading provider of Decentralized Service for several well-known digital creative platforms for online content creators such as Joylada, Tunwalai, Fungjai, fictionlog, ADMAX (in South Korea), Yello Story (in South Korea), and Fastwork. “In a beginning phase starting from January 2019, the Six Network’s content providers and creative professionals in Thailand can contact the network to inquire about applying for financial services from Krungsri First Choice, our sales financing and personal loan brand. Afterwards, Krungsri First Choice will be in charge of the approval process, taking into consideration the information from the database from Six Network’s applications, related to the income of the creative workers who applied and agreed to disclose the information, such as the number of jobs and actual income from selling their works and copyright fees on a monthly basis. We are also in the process to develop a better connection between our databases to ensure a more efficient and quicker analysis for loan approvals in the future. In addition to personal loan, instalment loan and credit card, Krungsri Consumer is also looking into the possibility of allowing this group of customers to be accessible to other services in the future. The move will give equal opportunity to people seeking financial services and help expand Krungsri Consumer’s customer base to include the younger generation aged 20 -30 years old who are freelancers. The company targets around THB 1 billion loans during the first year. We also expect this partnership will help contribute to Thailand’s move into sustainable creative economy,” said Thakorn. Mr. Thakorn Piyapan (left), Chairman of Krungsri Consumer, a leader in the credit card and personal loan businesses, Mr. Natavudh Pungcharoenpong (right), Co-CEO of Six network — a Startup in the Blockchain — Cryptocurrency business, and a provider of Decentralized Service platform for creative workforce — jointly announced the cooperation to enhance accesses to financial services for online content providers who are freelance professionals on the Six network’s platform in Thailand. Under this partnership, the creative workforce will benefit from information-based lending service from Krungsri Consumer, together with a plan to also offer other financial products in the future. The collaboration is expected to help Krungsri Consumer expand its customer base to cover the new generation of freelance professionals, and help further support the so-called ‘Creative Economy’ in Thailand. The company targets around THB 1 billion loans during the first year. Krungsri Consumer offers credit cards, sales financing (merchandise instalment financing), personal loan businesses, and insurance brokerage services. The Group’s credit card portfolio includes: Krungsri Credit Card; HomePro Credit Card; AIA Credit Card; Krungsri First Choice Credit Card (3-in-1); Central The 1 Credit Card; and Tesco Visa Credit Card. Krungsri Consumer also leads the sales financing and personal loans sector. Its sales financing and personal loan business flagship brands are the Krungsri First Choice Card (2-in-1), Krungsri First Choice Care Card (2-in-1), and Central The 1 First Choice.